The Okna 500 window, also known as the Insul-Tec Series is the mid range vinyl window option from Okna and can be ordered as a double hung, single hung, picture, slider, or hopper window. It is also available as a replacement or in a new construction set up. The Okna Insul-Tec window is one of my top selections for best long term value window. The 500 offers several improvements over the entry level Okna 400 window, including an improved sill wall, spacer and several additional features and upgrades. The result is a better looking and performing window from the 400 model. Standard features include a 3¾" depth mainframe, beveled colonial frame, optional auto-lock, Heatseal spacer , full integral interlock, fiberglass mesh half screen, double weather-stripping, and fully extruded sash handles. The 500 model can be ordered in an interior white, almond or cocoa. On the exterior, it comes in white, brown, bronze, cocoa, sandstone, almond, as well as a number of additional custom colors. Hardware comes in the three interior frame colors. Consumers can expect the Okna 500 window costs to run approximately $55 to $65 per square foot for the window itself. Comparably priced windows include Soft Lite Pro pricing and Kensington windows prices. The Okna 500 window with foam fill insulation, argon gas and low-e glass will deliver a .25 U-value, .30 SHGC, .54 VT, DP50 rating and .02 air infiltration. Upgrading to the Deluxe package will lower the U-factor to as low as .18. 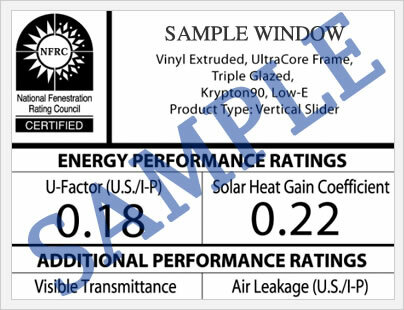 These are excellent numbers, all of which are available on the nfrc.org website, which provides testing for hundreds of window and door companies. The Okna 500 carries the same warranty as the Okna 800 Enviro-Star, including a lifetime on all vinyl such as the mainframe, sash and all components. The IGU or insulated glass unit is covered for the original homeowner's lifetime, as is all hardware. (The IGU on homes located near the east coast are covered for 10 years). Factory paint colors are cover for 10 years from the date of purchase. The Okna 500 warranty is fully transferable. 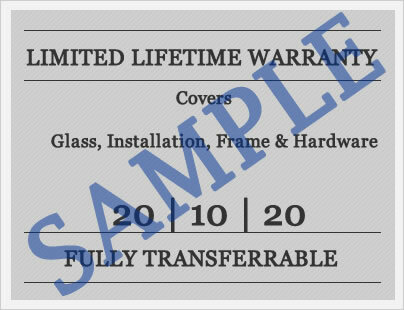 There are a number of exclusions that apply to this warranty so we would recommend that consumers read the single page document in full prior to buying their windows. Do you have an Okna 500 Insul-Tec window review to share? Let others know about your experiences with this window, regardless if they were good or not so good. Questions for our site experts? Jim and John can answer all of your toughest replacement window questions and queries and help you get the best deal possible. I live in Virgina Beach, VA and I'm replacing 24 window. I have received the following quotes. The following windows are triple pane. 4. Okna, Insultec, Deluxe Energy Saving Package, Heat Seal - $11,800. Danny, my own take on your bids is that the best value there is the Okna 500 Insultec at $11.8K. I'm not sure your climate is severe enough to warrant the triple pane options, but obviously if you received that many bids on triple, either you think it does or the reps think it does. The Soft-Lite Pro is the other window bid I like but obviously it's $3K more. I would be interested to see how they compare in either the double or triple pane. I'm thinking pretty close. If it were me, I'd go with the Okna with the Deluxe package. Great window, great price as well. In fact, that price is so good I'm almost a touch wary...sub $500 for the Okna 500 model is very aggressive pricing. I have come down to three windows. (5 awning and 8 double-hung). Soft-lite Pro $7245 for the 13 windows. Restorations by Sunrise (Ultra U) $8700 for the 13 windows. Insul-tec by OKNA Deluxe $9448 for the 13 windows. Mark, let me first say that all of the windows you have quotes on are very good. The Sunrise Restorations is the best deal of the bunch. It's probably my second favorite vinyl window behind the Okna 800 series, which is better than the 500 Insultec series that you have a quote on. The Sunrise Restorations is fantastic. Ned, I'm not a big fan of MI Windows so I would toss that bid if it were mine. The Vinylmax Edison is a decent window and that is a very competitive price for that window. However, the Okna 500 Deluxe is a fantastic window and the bid you are getting is very good. I would say that the Okna bid is the easy winner that you will be happy with for a long long time. Congrats! You wouldn't believe how many consumers get stuck with mediocre windows for more than you are spending. After many weeks of researching replacent vinyl windows, I've narrowed my choices to the Okna 500 Insul-Tec series, Reliabilit 3500 series and 3900 series. We're replacing 19 windows. The Okna and Reliabilt 3900's are only $400 apart. However the 3500's are 3K less. Unless the $3K is just too good to pass up, I'd say the Okna is the clear winner.